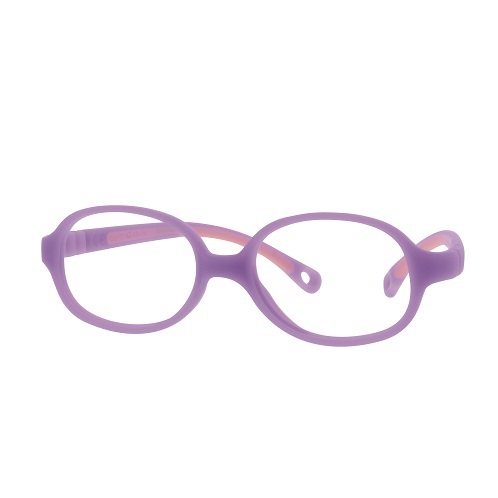 The design and material selected for the frame aim to offer the best possible comfort. The frame is made with co-injection technology using rubber materials of different densities, without latex, glue and any metal parts. The frame perfectly fits the child’s face and head, by making it especially indicated for children aged from 2 to 5 years, who start moving and playing more actively. 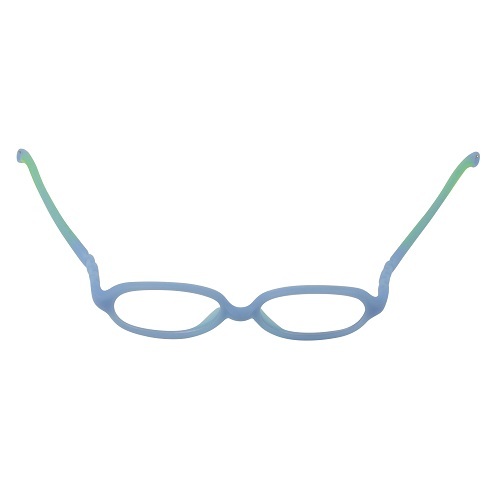 The deeper groove prevents the lens from coming out in case of an accident. 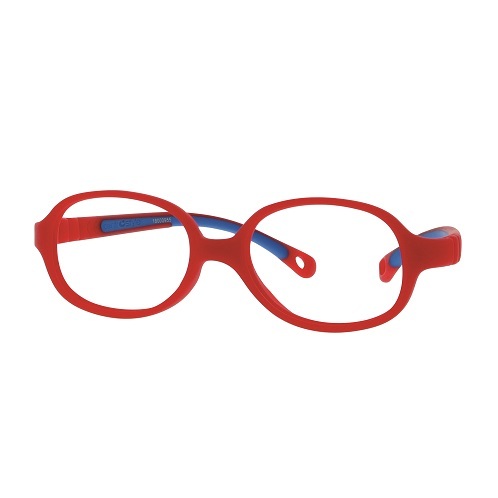 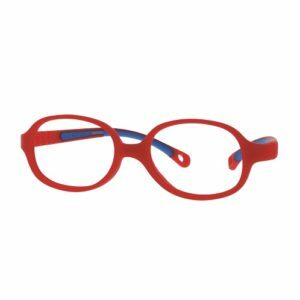 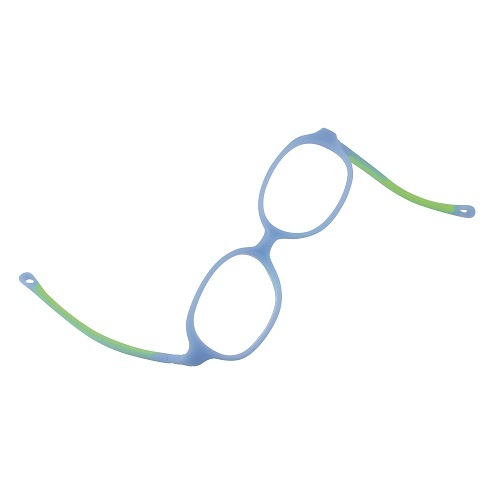 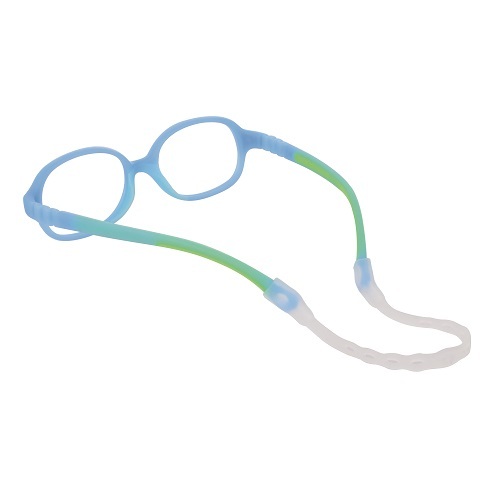 The silicone retainer band helps to maintain the correct optical centres. 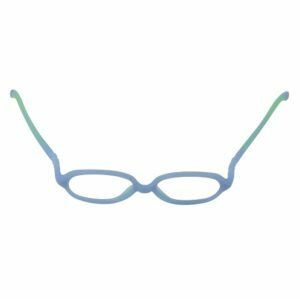 The round shape of the lenses grants the largest possible visual field. This frame is ideal for occlusive treatments.